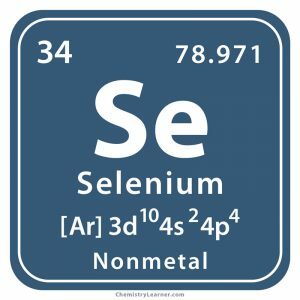 Selenium (pronounced as si-LEE-nee-em) is a metalloid, existing in both amorphous and crystalline forms, where the former appears as red/black powder and the latter as a silver-gray rock . Denoted by the chemical symbol Se, it has 24 isotopes of which only six exist naturally in different concentrations in the earth’s crust . 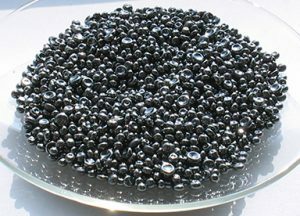 It is reactive, forming compounds when heated with metals, non-metals, and halogens. It also burns in the air in the presence of heat to form selenium dioxide . It exists freely in nature, but more often associated with other metals in the form of minerals. The main source of Se is anode mud from which it’s obtained during the electrolysis of copper. Origin of its Name: Its name is derived from the Greek word ‘Selene’ that means moon. In 1817 at Stockholm, Berzelius he was fascinated by some red-brown sediment at the bottom of his sulfuric acid chambers. Since the smell of the unknown residue was similar to radish when heated, he thought it to be the element tellurium (Te). However, he ruled out the possibility as it showed properties intermediate between Te and sulfur. Finally, he was able to prove the existence of a new element in Te samples, owing to the pungent odor released. Glasses used in buildings are often coated with Se to lend a bronze tint that reduces the amount of sunlight entering through them . 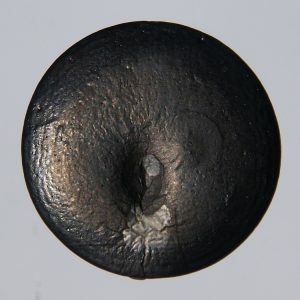 The metal drums of photoconductors, used for copying and reproducing documents, are coated with the amorphous form of the metalloid since it becomes electrically conductive when exposed to bright light and convert it into electricity [1, 5, 10]. Therefore, it also finds application in solar cells, electric eyes, camera light meters, and photocells . It is often used as an additive in the manufacturing of stainless steel . Anti-dandruff shampoos containing Se are effective in clearing scalp fungus . 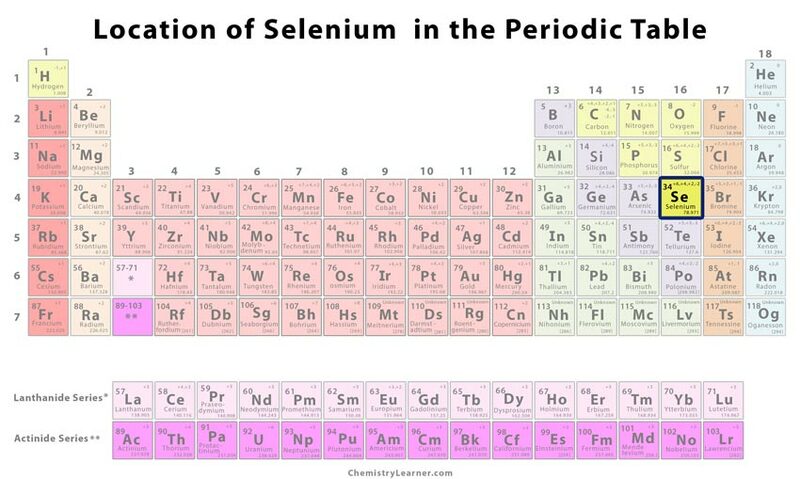 Selenium is an important component of pigments used to make paints, ceramics, and plastics . The ability of Se to convert AC to DC makes it useful in rectifiers . Exposure to higher levels of Se has been linked to neurological defects, carcinogenic effects, and brittle hair and nails . Accidental oral ingestion may lead to nausea, vomiting, and diarrhea. Excess inhalation of the vapors can cause dizziness, fatigue, skin irritation, and lung problems [1, 11]. An average human body contains about 14 mg of Se . Its high affinity towards mercury helps in counteracting toxicity caused by the latter . 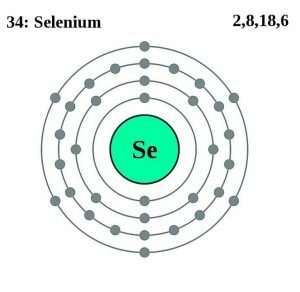 The image of selenium is represented by a crescent moon against a cratered background represents Selene, the Greek goddess of the moon . 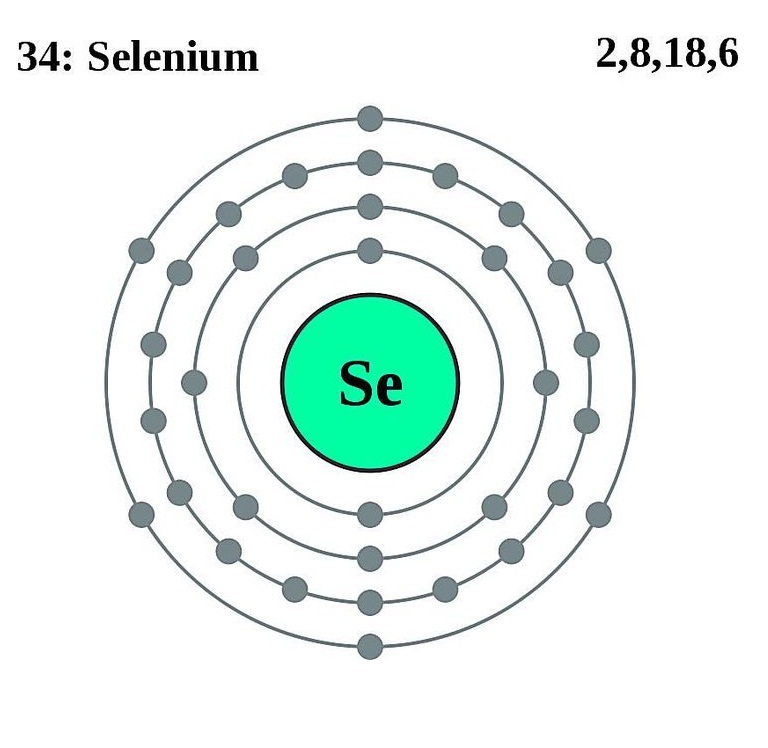 Pure selenium may be priced anywhere between $5 and $6 per gram.